Latvia’s successful development is based on our own self-confidence, the stability of the international rules-based system, and close alliances with like-minded states. With 2 million people in a territory twice the size of the Netherlands, there is no alternative to ensuring full equality, using all our human capital, while digitalising public services, providing education for all and the freedom to do business, supported by smart regulation. Since the establishment of the republic, Latvia’s Civil Service has played an important role, ensuring international recognition, the continuity of statehood throughout the Soviet occupation, and the country’s eventual rebirth as an independent nation in 1991. In 1918, government institutions in newly established states had to be created anew and in a hurry. Decisions had to be taken on which institutions and posts should be established, how to select loyal and capable officers, and on finding the resources to maintain them. These tasks were carried out in a legal vacuum, with regulations on the Civil Service and government institutions yet to be adopted. This was the situation in Latvia. An additional complication was that hostilities on our territory resulting from the First World War continued until 1920. Regulations for a new Civil Service were adopted by the provisional government in 1918. However, the recruitment of civil servants was rather informal: officials were appointed without formal procedures, often without a written letter of appointment. In 1920 the Law on the Civil Service was adopted, facilitating a permanent public service. (Interestingly, it provided for an official’s salary to be raised by 10% of the basic rate every five years.) By the time the Constitution was formally adopted in 1922, a professional and well-regulated civil service was already established. Since then, the Civil Service has often been the driving force behind the most important developments for Latvia. Civil servants played a crucial role in preparing the successful campaign for Latvia’s international recognition at the Paris Peace Conference after the First World War. They then negotiated international treaties, prepared budgets and laws, and laid the foundations for a successful state. This central role meant they were one of the first targets for the Soviet and Nazi authorities during the successive brutal occupations during and after the Second World War. The only Civil Service institution to function without interruption for all 100 years was the diplomatic service. This was possible because the Latvian Embassies in the US and the UK – who never recognised the illegal Soviet occupation of 1944 to 1990 – continued to perform limited state and civil service functions during the occupation. This ensured de jure continuation of the Republic of Latvia and supported its restoration in 1990 to 1991. 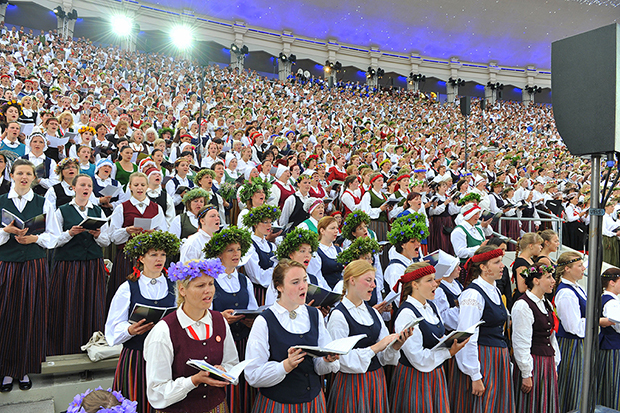 The Civil Service was reinstated in 1991, when Latvia faced the immediate challenges of removing Russian troops, rebuilding a democratic, open and inclusive society, its reintegration into the North Atlantic community, restructuring the economy and state administration, and ensuring national security. Soviet structures were abolished and a new, modern Civil Service system was built. Some ministries, including those for the interior and the economy, underwent drastic reform, while others, such as foreign affairs and defence, were rebuilt from the scratch. This period was characterised by huge national enthusiasm and commitment. Many exiled Latvians, including many young people, returned from abroad to go into public administration, politics and the private sector. Latvia was reborn, and it was the strong foundations of the 1918 republic that made it possible – providing for the continuation of democracy, an open economy, and human rights. The lack of recent experience and institutional memory was sometimes a challenge. However, it also allowed for more innovative thinking. The Civil Service learnt as it worked, implementing the big political goals. Not least among these was fully re-establishing the institutions of an independent country, but they included ensuring the withdrawal of Russian troops, joining the EU and NATO, chairing the EU in 2015, joining the OECD and preparing the centenary celebrations. The ultimate goal of all of those decisions was strengthening Latvia’s independence and security. 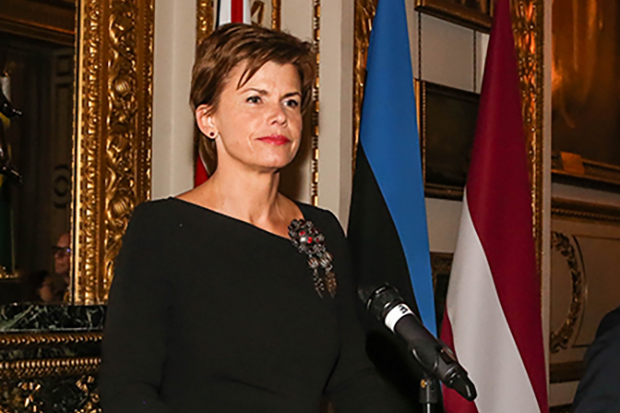 During this process, Latvia has co-operated closely with its international partners, including the UK, which has provided know-how transfer since the early 1990s (through Crown Agents, for example), as well as training, scholarships, and UK civil servant secondments to Latvia during our EU presidency. Today, Latvia is as safe and secure as it has ever been. Much of the credit for this goes to our allies and friends in the world, in particular to the UK. Latvia faces a new set of tasks and challenges: notably, the need to maintain economic growth and develop our people, while ensuring security and the defence of the country. Another challenge is our mobile population: for example, some 117,000 Latvians currently reside in the UK. The rise of digital technologies is a great opportunity, but requires a society-wide effort to give everyone the skills to exploit it. The current age of opportunity in Northern Europe can only be compared with the revolution in literacy and the access to knowledge triggered by the invention of the printing press in the 16th century. With the digital revolution, in Northern Europe, including the Nordic Baltic States and UK, we have the opportunity to take our countries and people to a qualitatively new level of development. This will change everything – in education, higher education, on-the-job training, and vocational training – with horizontal links demolishing the silos that isolate different groups, whether in the public and private sectors, academia, or among NGOs and other sectors. How do we achieve that? Should we regulate or not? What do we do at the EU level, and what at the national? How do we achieve co-operation between the big profit-driven technology companies? How do we keep our populations, businesses and inventions safe? One answer is close international co-operation – and I do hope that Brexit does not spoil our excellent co-operation with the UK at all levels. Geopolitics remains the greatest challenge for Latvia, as for the whole Euro-Atlantic community. Today, targeted action by an aggressive Russia to undermine Western democracies and weaken the international rules-based system, the development of modern technologies, a borderless yet fragmented information environment, and citizens’ high expectations of their governments all demand a national effort of resilience. And it is the public administration that needs to engage with civil society and individuals to facilitate a resilience-building process throughout the country – not least in creating greater public awareness of the importance of cyber security, and promoting media literacy and critical thinking. Horizontal co-ordination within government and society has been the answer of choice for Latvia. Ministries such as transport, welfare, health, and education, which are less involved in the traditional security areas, are now integral to the whole government resilience effort. At the same time, NGOs, interest groups and civil society activists have found their place in the picture. The Latvia 100 campaign has played an important role in motivating and supporting everyone to contribute. The recently adopted diaspora law (which came into force on 1 January 2019) is a prominent example of this drive for universal engagement. The new law provides a legal framework for state and relevant stakeholders to engage more and create new platforms for co-operation with Latvians overseas. It is an important signal of how we want to transform the relationship between the state and our ever-more-mobile citizens, and a litmus test of the outward-looking and open society we want to create. It is also relevant in the context of Brexit. Mobility based on non-discrimination and the portability of social security will be a crucial element in maintaining the close ties between our countries and societies. 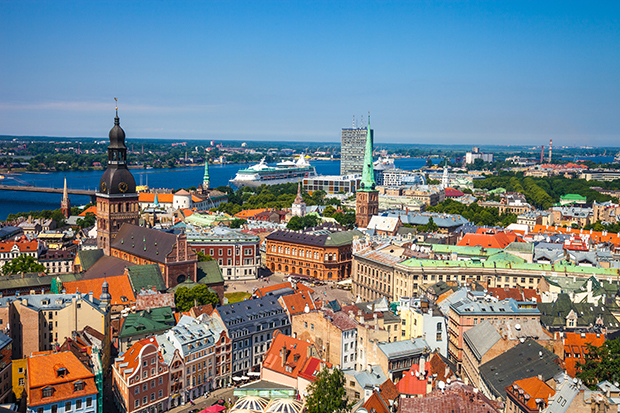 There is a legend which says that Latvia’s capital, Riga, will never be ready, and that if one day someone concluded that it was, it would sink with all its people. This can also be applied to the development of a system of public administration – it can never really be said to be ready. As the needs of society and the state change, it has to change and adapt in order to serve effectively. In preparing for the centenary, it was clear that it should be used to reflect the country as it is and to help shape its future. The Latvia 100 celebration, under the slogan ‘I am Latvia’, was designed to make every member of the community feel a sense of personal engagement and identity with the nation. It had a particular focus on the young and how they relate to Latvian statehood, our cultural heritage and its contemporary expressions, the achievements of science, innovation in the arts and creative industries, and our natural landscape. Countless groups and organisations – from businesses to NGOs, to choirs, fraternities, firefighters, gardeners, and communities of friends and neighbours – organised and participated in events, as part of a genuine nationwide movement. The Latvian public administration is built on certain principles. I appreciate this brief of Latvia marked by composure and self esteem. It gives an idea of the present state of Latvia, of the priorities of its government, including civil service, and of the immediate tasks that focus the government. It is remarkable that the author emphasises mobility with respect to the local and overseas population rather than lamenting numbers of emigrating citizens. Thank you.